Given the potential expense of divorce, it is no surprise that many couples attempt to complete their divorce paperwork themselves. 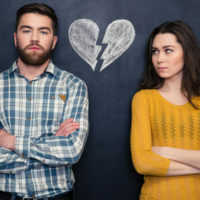 While this do-it-yourself plan may seem straightforward if the couple agrees to a no-fault divorce and has little property to divide, issues can arise at any point which may leave you wishing you had hired legal representation, even if only to ensure that you have filed the proper forms. Like most states, Texas does have residency laws with regard to divorce. Texas residents who have been in the state for at least six months may file for divorce in the state, though one or both of the divorcing parties must also reside in the county where you file for at least 90 days prior to the petition. If you’ve recently moved, this means you will have to wait to file, but your attorney can assist you in preparing all necessary paperwork while you wait. Proving some of these grounds is difficult, making DIY divorce a chore. You must also take into account that Texas law, in an effort to help preserve marriages, has two built-in waiting periods in the divorce procedure. First, a divorce cannot be granted until 60 days after the initial suit is filed, though exceptions can be made for violent situations. The second allowance for a change of heart involves a 30-day appeal period. During this time, either spouse can file an appeal of the divorce for any reason. After the appeal period, the divorce is final and both parties are free to remarry as they wish. In cases of violence or a change of heart, having an experienced attorney to help you navigate the paperwork will be very helpful. Perhaps the strongest case against a DIY divorce is the division of marital property, including both assets and debts. If you enlist the aid of an attorney and the court system, Texas law decrees that the courts will order a division that is fair and takes into account the needs and abilities of each party. Even in relatively peaceful divorces, spouses may attempt to hide some assets or shove the bulk of the debt off on their partner. In more contentious scenarios, a spouse may act vindictively. For instance, your spouse may max out a credit card after you have already signed an agreement to take on 60% of your marital debts. Without an attorney by your side, you will likely be stuck with the hefty bill that an attorney could have easily prevented. The Houston divorce attorneys at Lindamood & Robinson, P.C., can assist you with your divorce proceedings. Divorce is stressful enough, so let a professional handle the legal paperwork for you. Contact one of our experienced family law attorneys to schedule a consultation today.